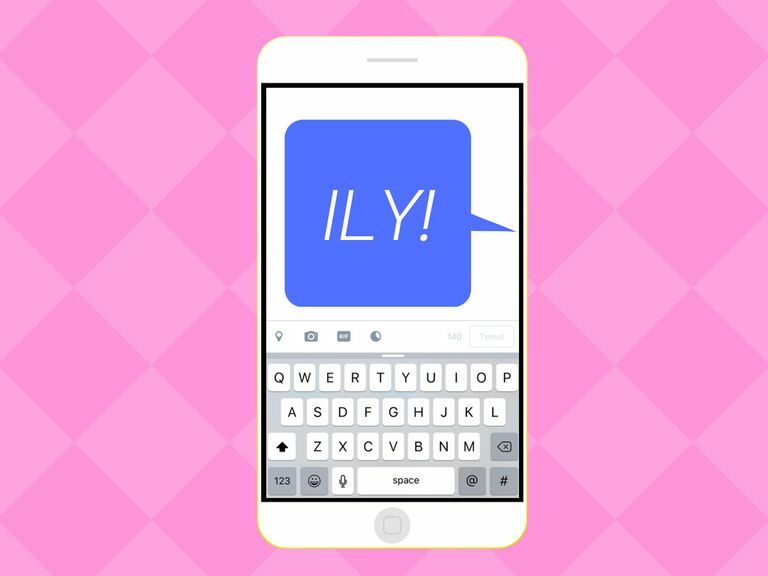 What Does ILY Mean in Text-Speak? Did someone just text "ILY" to you? Or did you see it posted somewhere on social media? The meaning of this acronym is friendlier than you might think! D'aww! That's one mushy acronym. End a conversation on a loving and caring note before each person goes their own separate way. Even though the above situations are among the most common for using this acronym, there really are no rules for using it. If you love or care for someone and want them to know, you can use it anytime you want. There's one other well-known way to say "I love you" in the digital world. Instead of ILY, you can use ILU. In this alternative acronym, the letter Y is swapped out for the letter U. The opposite of ILY is IHU, which stands for "I Hate You." People tend to use this acronym sarcastically more often for a humorous effect as opposed to using it literally. If someone texts or messages ILY to you and you feel the same, you can use a variation of this acronym to say it back. All you have to do is add the number 2 to the acronym.